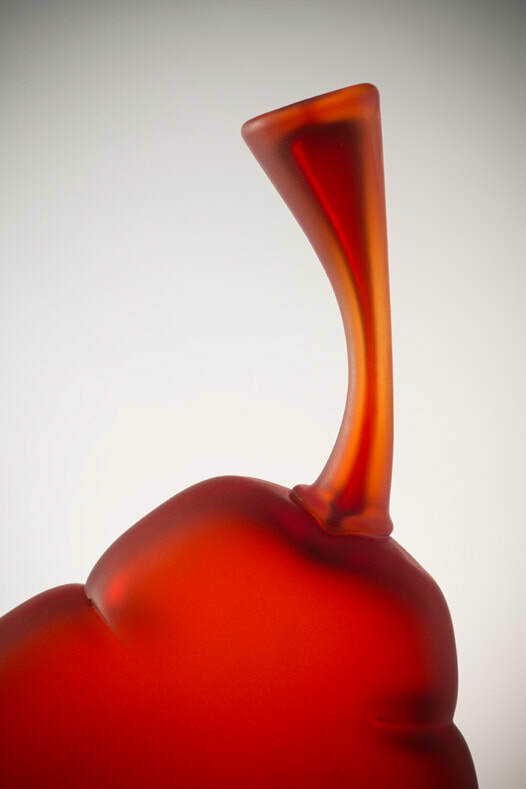 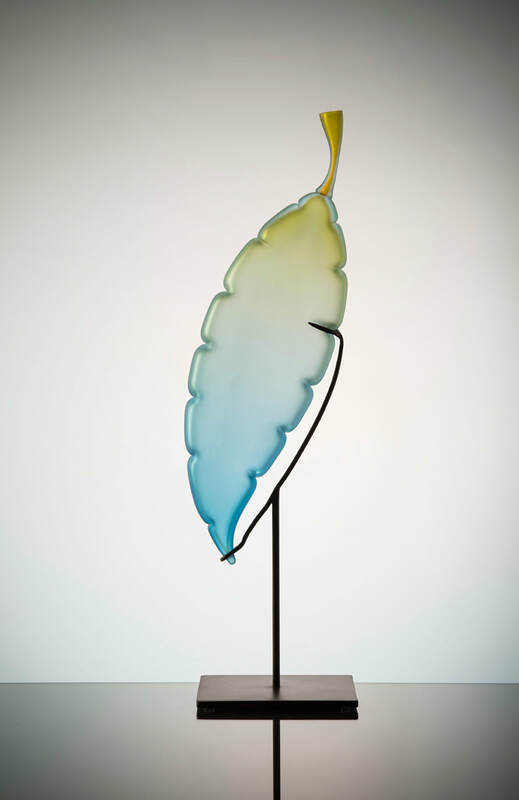 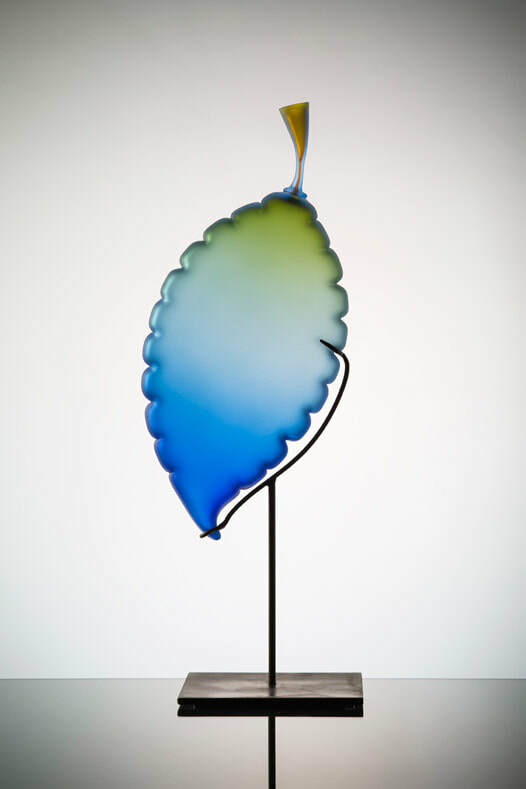 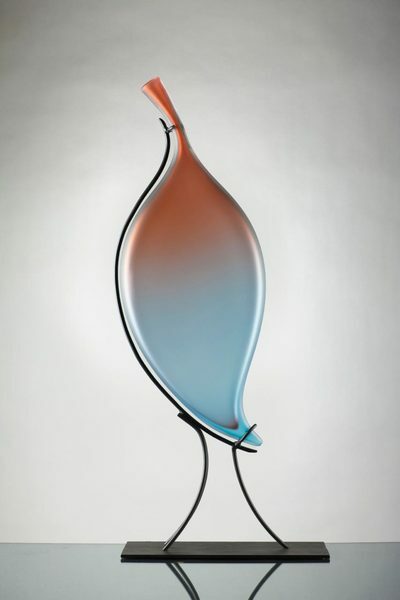 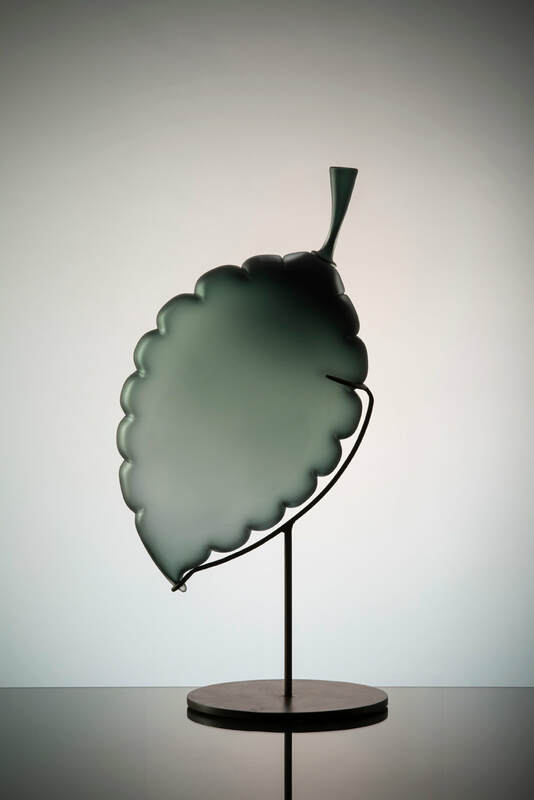 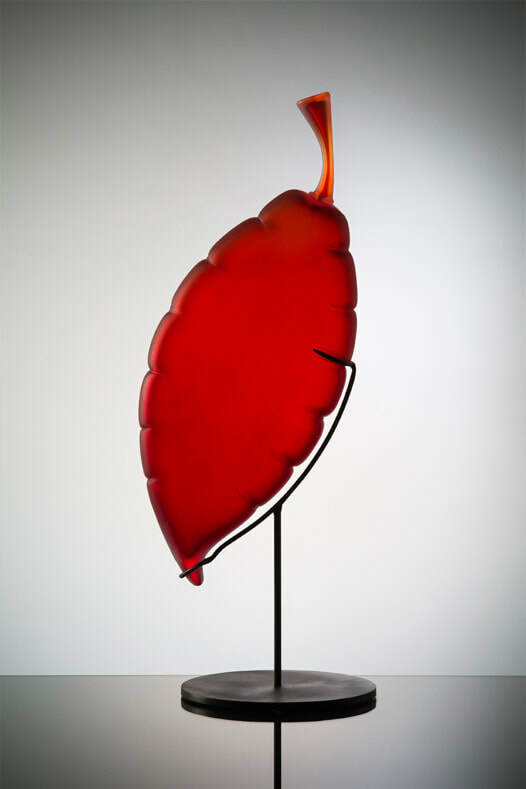 To create the Leaf Sculptures, Michael Schunke inflates each glass form and shapes each profile by hand, while hot. 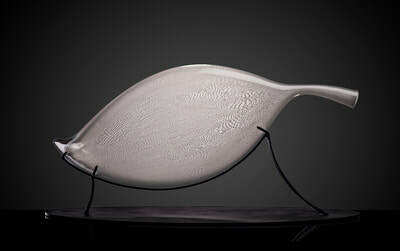 The flattened surfaces are embellished with pattern, texture or subtle color fades. 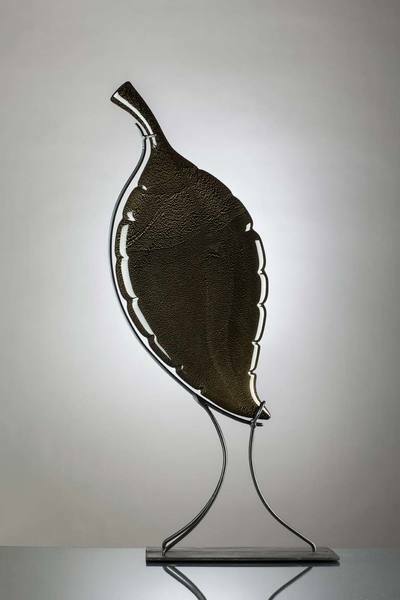 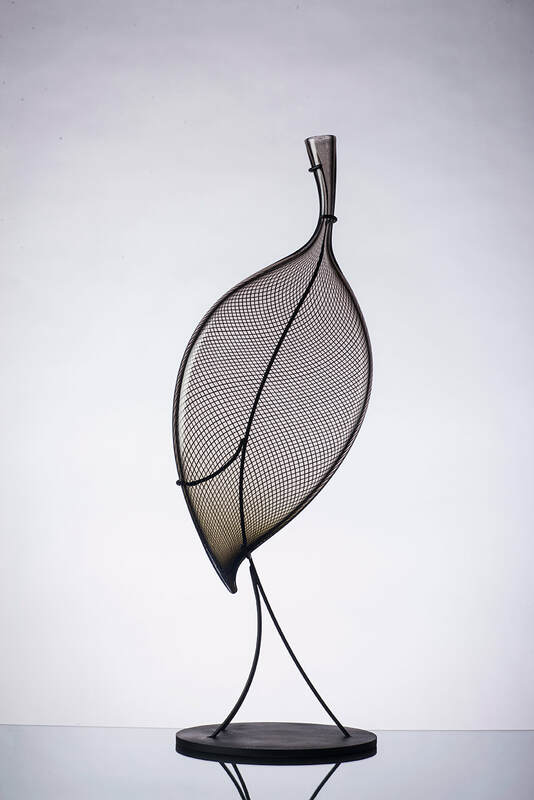 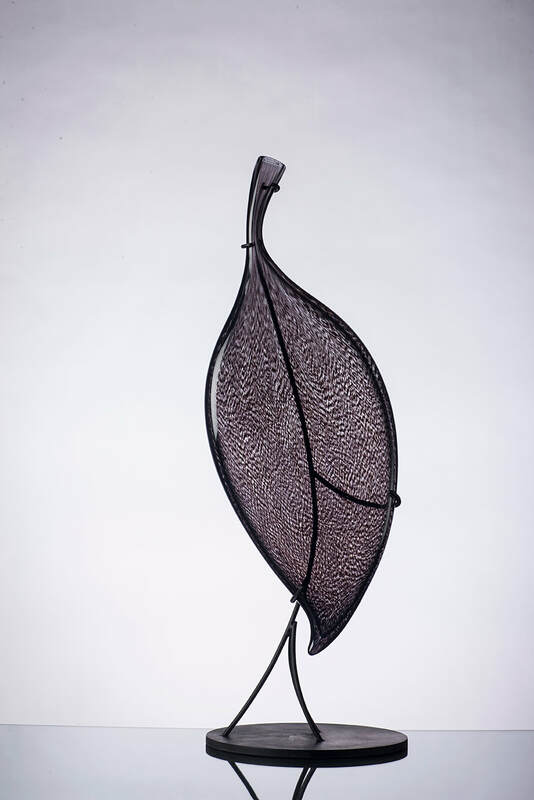 Each Leaf Sculpture is unique and sits in a hand-fabricated sculptural steel stand. 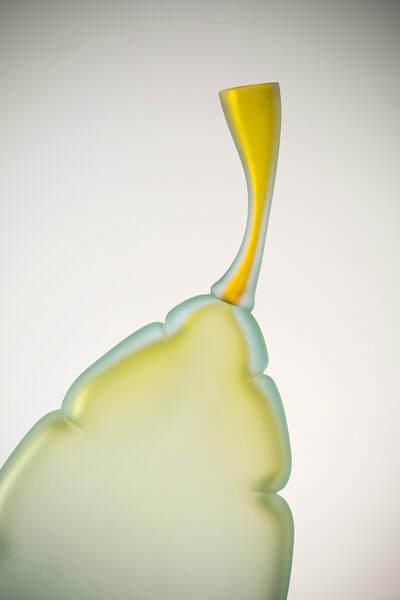 Select a thumbnail to view the full image. 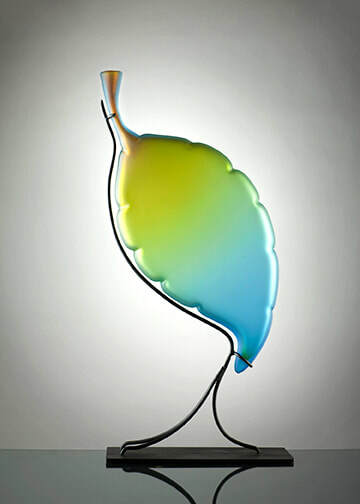 Please inquire for pricing and availability.